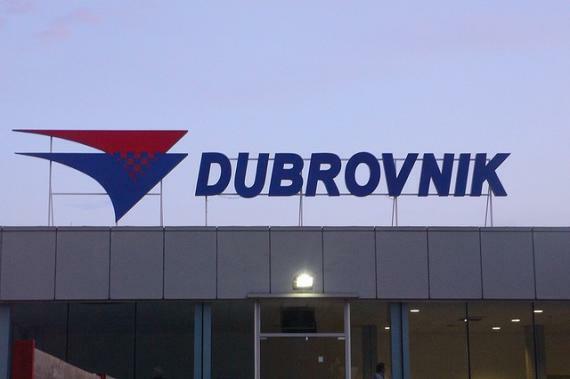 Dubrovnik airport is very well connected with practically all important Croatian and European destinations. It is currently the second busiest airport in Croatia and the most successful one. Croatian airline carrier, Croatia Airlines, provides regular flights between Dubrovnik and the other Croatian airports (Zagreb, Split, Pula in Istria, etc. ), but it also provides direct flights to European capitals such as Vienna, Rome, Amsterdam, Frankfurt and even across the Mediterranean, to Tel Aviv. Many international airline carriers have regular direct flights from various European capitals to Dubrovnik. For example, providers such as Lufthansa, German Wings, British Airways and Austrian Airlines have regular direct flights to Dubrovnik from München, Köln, London and Vienna. Some of the popular European low cost airline providers also provide direct flights to Dubrovnik. For example, you can book direct flight from Berlin to Dubrovnik with EasyJet, which also flies to several tourist destinations in Southern Europe, like Fuerteventura, Gran Canaria Island, Tenerife and Lanzarote in Canary Islands, Ibiza Island in Balearic Islands, Kefalonia, Kos Island, Corfu Island, Athens and Crete Island in Greece, Izmir in Turkey, Lisbon in Portugal, Corsica in France and many more, for as little as 40 euros if you book your flight early enough. Most of the European destinations are within 2 to 3 hour flight distance from Dubrovnik. So, for example, if you’re travelling from Barcelona, Berlin or Zurich, you can expect to arrive at Dubrovnik in approximately two hour time; that is if you catch a direct flight, of course. British, Irish and Spanish destinations are within three hour flight distance and Moscow is among the farthest destinations; direct flight to Dubrovnik is five hours long. Dubrovnik airport Ćilipi is located 20 km away from the city. It can be reached by bus or by car. There are several taxi services available at all times to drive to and from the airport. Taxi fees are ranging from 70 to 75 euros depending on the driving distance. You can also rent a car in one of many rent-a-car agencies located at the airport terminal. There are two bus companies providing regular lines driving to and from the city. Bus fee is approximately 5 euros.